With Chalmers University of Technology, Sweden, as a hub, the world's first global research network into climate change denial has now been established. Building on a brand-new research publication showing the links between conservatism, xenophobia and climate change denial, the network will study how the growth of right-wing nationalism in Europe has contributed to an increase in climate change denial. Scientific awareness of the greenhouse effect, and human influence on the climate, has existed for over three decades. During the 1980s, there was a strong environmental movement and a political consensus on the issue, but in recent years, climate change denial – denying that changes to the climate are due to human influence on the environment – has increased. "Two strong groups have joined forces on this issue – the extractive industry, and right-wing nationalists. The combination has taken the current debate to a much more dramatic level than previously, at the same time as our window of opportunity is disappearing." 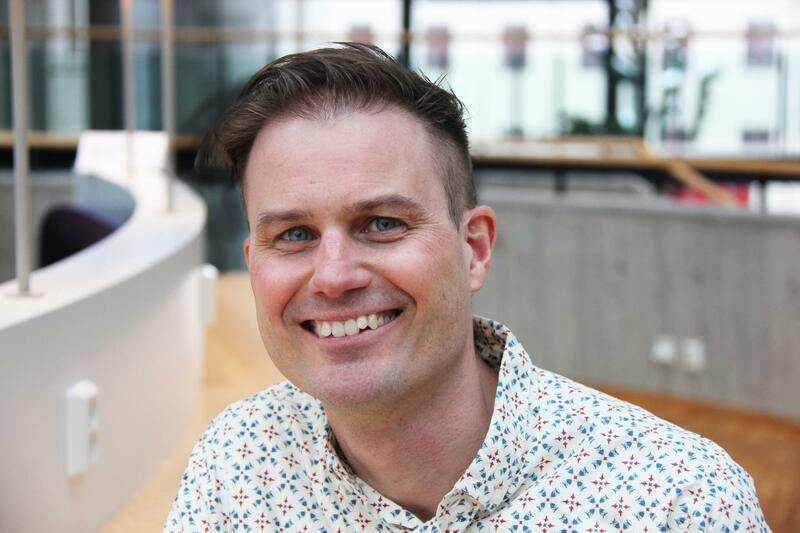 This is the analysis of Chalmers researcher Martin Hultman, Associate Professor in Science, Technology and Environmental studies, and research leader for the comprehensive project: "Why don't we take climate change seriously? A study of climate change denial", which is now collecting the world's foremost researchers in this area. In the project, the network will examine the ideas and interests behind climate change denial, with a particular focus on right-wing nationalism, extractive industries, and conservative thinktanks. The goal is to increase understanding of climate change denial, and its influence on political decision-making, but also to raise awareness among the general public, those in power, research institutes, and industry. Right-wing nationalism's links to climate change denial are a relatively unresearched topic, but Environmental Sociology recently published an article where Hultman and his research colleagues show the connections between conservatism, xenophobia, and climate change denial, through a study in Norway. Hultman explains that many of the right-wing nationalist parties in Europe now have climate change denial as one of their most important issues. "These parties are increasing in significance. We see it in Denmark and Norway, in Britain with UKIP, and Front National in France. But also, in Sweden, with the Sweden Democrats' suspicion towards SMHI (Swedish Meteorological and Hydrological Institute), their dismissal of the Paris Agreement and of climate laws, and in their appraisal of climate change denier Václav Klaus as a freedom-fighting hero," he says. Hultman also mentions the Trump administration in the USA as a prime example. Through the new research project, a unique international collaborative platform for research into climate change denial, Centre for Studies of Climate Change Denialism (CEFORCED), will be established, which will connect around 40 of the world's foremost scientific experts in the area and pave the way for international comparisons. The platform builds upon the world's first conference in the subject, which Hultman and Professor Riley Dunlap of Oklahoma State University organised in 2016. "Thanks to this international platform, we can investigate how climate change denial arguments arise and are spread – and see differences and similarities in different cultural contexts," says Hultman. An important foundation of the project will be a broad, interdisciplinary view of climate change denial, linking together different disciplines such as geopolitics, environmental psychology, technological history, environmental sociology, gender research, environmental history, energy policy, environmental humanism and technology and science studies. "We do not dismiss climate change denial as something limited to, for example, powerful, older men with strong connections to the fossil-fuels industry – even if such organised groups do play important roles. Knowledge of climate change and its causes has been around for a long time, so firstly, we also need to understand the type of reactions and everyday denials that explain why we don't take the greenhouse effect seriously – even when we see the consequences in front of our eyes." According to Martin Hultman, there are strong reasons for the prevalence of climate change denial, and why it can be so difficult to take in the implications of climate science. "Around 80 percent of all energy bought and sold in the world is oil, coal, or gas. The world's economy runs on this type of energy, which is destroying our habitat at the same time. This makes climate science's findings problematic, because it means that many in Sweden – and in other countries which use these resources to maintain their lifestyle – need to change their way of life, and many of the most powerful companies in the world will have to change their business models. At the same time, a more climate-friendly lifestyle involves a lot of what many of us hold dear. For example, more time socialising, more contact with nature, better health and less stress. " The project "Why don't we take climate change seriously? A study of climate change denial" is a multi-year, interdisciplinary and international project, which is financed by the Swedish Energy Agency. The project establishes the world's first research network on climate change denial – the Centre for Studies of Climate Change Denialism (CEFORCED), which includes around 40 scientific experts, including among others, Professor Riley Dunlap of Oklahoma State University. The project shall investigate right-wing nationalism, Conservative thinktanks, and extractive industries as key focuses. The project will map right-wing nationalist parties in Europe and their arguments around climate change denialism. Among other things, Twitter and other internet discussion groups will be analysed. The project will undertake a historical investigation into Sweden's extractive industries -what they have learned about climate change, and how they have acted, as well as connecting knowledge to international studies into the debate. The project maps out how conservative thinktanks in Sweden analyse and communicate around climate, as well as their connections to lobby groups of similar character. * Organised: Groups such as Klimatsans (Climate Sense) or Stockholmsinitiativet (The Stockholm Initiative) in Sweden, as well as lobby groups like the Heartland Institute in the USA, which support and spread climate change denial. * Party Political: Political parties such as UKIP in Britain, and AfD in Germany among others, who work against different forms of climate policy. * Response denial: For example, when people in positions of power make decisions such as the construction of Sälen airport in the Swedish mountains, running totally counter to the climate policies they claim to support. * Everyday denial: When people act as though as they unaware of climate change, and, for example, fly several times a year to foreign countries. Krange, O. Kaltenborn, B.& Hultman, M. (2018). "Cool Dudes in Norway: Climate Change denial among conservative Norwegian Men". Environmental Sociology. Anshelm, J., & Hultman, M. (2014). A green fatwā? Climate change as a threat to the masculinity of industrial modernity. NORMA: International Journal for Masculinity Studies, 9(2), 84-96. Supran,G; Oreskes, N (2017). "Assessing ExxonMobil's climate change communications (1977-2014)". Environmental Research Letters. Oreskes, N., & Conway, E. M. (2011). Merchants of doubt: How a handful of scientists obscured the truth on issues from tobacco smoke to global warming. Bloomsbury Publishing USA. Young, N., Coutinho, A. (2013). "Government, Anti-Reflexivity, and the Construction of Public Ignorance about Climate Change: Australia and Canada Compared". Global Environmental Politics. Brulle, R (2014) "Institutionalizing delay: foundation funding and the creation of U.S. climate change counter-movement organizations". Climatic Change.